She’s great! Very engaged and promotes a healthy lifestyle. The practice offers yoga classes, and other initiatives toassist their patients In achieving/maintaining health goals! I am so glad I found them! She’s great! Very engaged and promotes a healthy lifestyle. The practice offers yoga classes, and other initiatives to assist their patients In achieving/maintaining health goals!I am so glad I found them! Very professional and listens to concerns. Engages you to be a part of your care and takes time to ensure youunderstand what is going on. She takes time to not just deal with the current health issue but is concerned for the overall well being of her patients. HIGHLY recommend! Very professional and listens to concerns. Engages you to be a part of your care and takes time to ensure you understand what is going on. She takes time to notjust deal with the current health issue but is concerned for the overall well being of her patients. HIGHLY recommend! 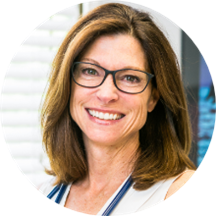 Tracy is a Board Certified Adult Nurse Practitioner and Physical Therapist. Tracy earned her Bachelor's of Science in Physical Therapy from the University of Maryland, a Bachelor's of Science in Nursing from West Chester University, her Master's in Nursing from Jefferson University, and her Post-Master's Certification from the University of Pennsylvania. Tracy also serves on medical and surgical mission teams in Central and South America.